With a global focus on the 2014 Boston Marathon, we take time to remember those impacted by the events of the 2013 Marathon. It is important to always remember the countless examples of courage, support, and life-saving heroics. One example of the many organizations providing support at the 2013 Marathon was the American Red Cross. As soon as the devastating events occurred at the 2013 Boston Marathon finish line, the Red Cross was able to instantly convert some of their standard runner first aid stations used for the race into triage centers to support those impacted. The courage demonstrated by individuals, first responder organizations, and the immediate aid from groups like the American Red Cross is a testimony to the importance of resilience in any situation. Resilience at both the individual and organizational level is vital in times of crisis. The quick response by the American Red Cross at the 2013 Boston Marathon is indicative of an organization built on resilience. However, the specific culture attribute of resilience requires a very concerted effort. Organizational resilience has been fostered and constantly tested over time at the Red Cross. Like many organizations impacted by the 2008 financial meltdown, the American Red Cross was faced with significant financial issues which required the organization to work through several tough decisions. In a recent Harvard Business Review article, CEO Gail McGovern shared how the Red Cross was faced with a major operating deficit in her first month at the non-profit. The senior leadership team created an initial restructuring plan and felt confident that the Board of Directors would approve the strategy. The strength and resiliency of the American Red Cross culture has been demonstrated many times since the 2008 financial crisis and continues today. Resiliency is vital for any organization and cannot be created overnight. A “Boston Strong” culture is something that all groups need to aspire to as a way to ensure the mission of the organization is delivered even in the face of significant challenges or crisis. Building and maintaining a resilient culture requires a concerted effort and provides the strong foundation that an organization needs when faced with major challenges. A resilient culture can help organizations successfully navigate through a major change or crisis. Leaders need to be willing to truly listen and perhaps modify their approach in order to help facilitate successful change and build resiliency. Employees should be encouraged to foster resilience and communicate the positive impact of resilience on the culture. Tom Morehead is Global Managing Director of Crescendo, a Management Consulting firm which helps companies strategically optimize Leadership, Teams, and Culture. 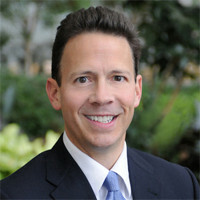 He also serves as an Executive Coach and Lecturer at the Northwestern University Kellogg School of Management. Prior to Crescendo, Tom held key leadership roles and delivered business transformation at several companies including Quaker Oats/Gatorade and Zurich Financial Services. 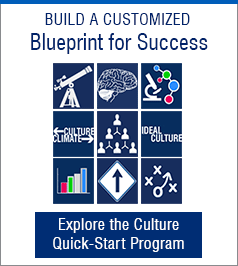 He is co-author of the 2014 book - Build the Culture Advantage, Deliver Sustainable Performance with Clarity and Speed, founding faculty member of CultureUniversity.com and a blogger @GlobalCoachTom.